Profitopoly (www.profitopoly.com) is a fun, dynamic, and powerful business tool that provides education and problem-solving using relevant company data to enable profitable business growth. Profitopoly offers an innovative way to bring your people together to create cross-functional teamwork and relationship building involving the achievement of key financial goals. Profitopoly will educate and inspire employees while motivating teams to work together to achieve profitability enhancement initiatives. Profitopoly also produces a valuable executive report on each team’s performance and learning initiatives. We call this our People Development Scorecard which can be used to document financial learning, strategies, opportunities, and new ideas to increase profits. Auction – Creates excitement as teams try to acquire assets and improve their competitive position. Dashboard – Keeps the team focused on key performance indicators and promotes healthy business competition. Solution Squares –Tests team knowledge using relevant company data and keeps the focus on the learning objectives of the game. Financial Reports – Measures team progress with timely reports which participants can use to develop strategies. 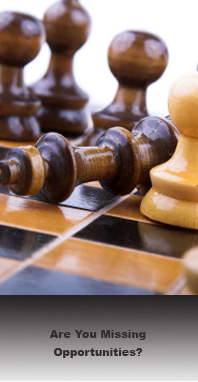 Periods – Enables strategy shifts to change the dynamics of the game. Chance Element – Introduces unexpected real world circumstances to measure the team’s ability to react to change. Economic Variables – Changes to revenue and material price indices impact inventory management decisions and the “chance” element of the game.